As you can see from the photo, he’s just a cute little dog looking for his long-lost siblings, who were born in August 2015 and adopted from Texas Humane Heroes in Leander. This is what they looked like as puppies. Let’s all say it together: Awwwww. Frito’s owner, Corie Gemmiti, initially posted the photo on the Texas Humane Heroes Facebook page on Sunday, requesting a puppy play date at the shelter between Frito and his brothers and sisters when they’re all located. The owner of one of the puppies, Raven, posted within 10 minutes saying they adopted Frito’s sister the day after Frito was adopted. 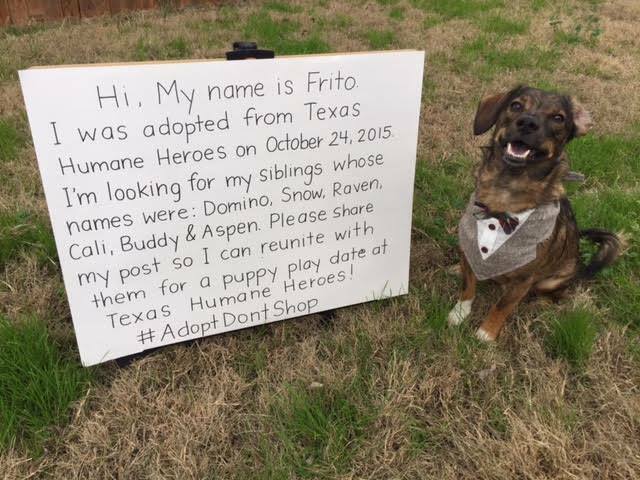 On Thursday, Texas Humane Heroes said on Facebook that it has located four out of Frito’s six siblings and it’s planning on hosting a reunion on Feb. 18, hopefully with all seven puppies reunited. A local pet photographer will document the session, so mark your calendars for a really cute slideshow next month. Previous PostPrevious Can Dogs Eat Carrots? If So, Are Carrots Good For Dogs? 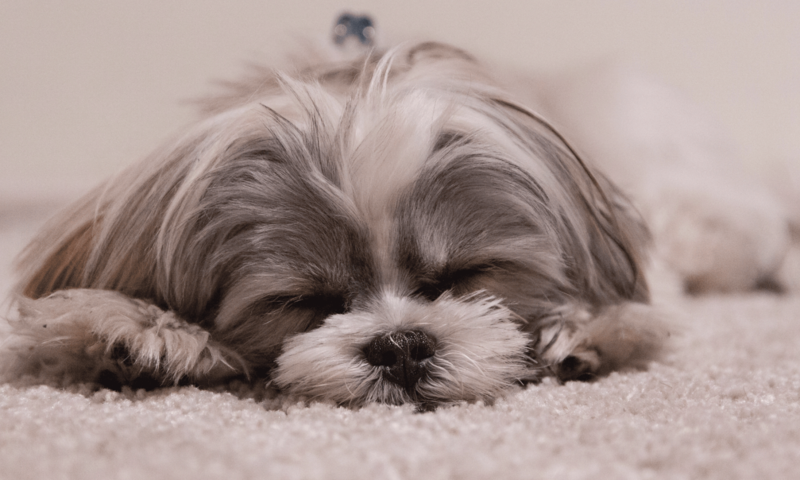 Next PostNext Why Do Dogs Scratch Their Beds?